(CNN) -- The legendary Hanging Gardens of Babylon are the inspiration behind an ambitious plan to grow a rooftop forest high above Beirut's crowded streets. The cityscape is currently overshadowed by concrete highrises, with parkland making up just 3% of Lebanon's capital, according to a study by the American University of Beirut. The lack of greenery has contributed to poor air quality and trapped heat, among a host of other environmental issues, claims architect Wassim Melki. This led him to the the unconventional idea of greening over the city's rooftops. "We want to cover the top of nearly every building in the city with trees," said Melki. Challenging though it sounds, Melki's proposal does not involve complicated drainage systems or engineering. "We're just talking about planting small to medium-sized trees in relatively large pots and securing them to the roofs," he added. With colleagues at local NGO ReAct, Melki aims to plant 60,000 trees eventually. They say that as well as making a sizable dent in the level of carbon dioxide in the air, the trees would also create a rooftop canopy, casting shadows on the streets and helping to keep the city cool.The 28-year-old architect claims there are 15,000 suitable rooftops -- around 80% of those in the city. "Even planting just one on each would result in as many trees as there are in New York's Central Park," he said. Nevertheless, Wonder Forest, if realized, would not be comparable to a public park. "Planting trees in the ground is always preferable, and nothing can replace a wide open space to walk through," said Melki. Comment: Would you give the scheme your support? Is the Wonder Forest project a feasible and much needed innovation or a pretty but impractical pipe dream? Tell us you thoughts in the comments section below. Melki estimates the total cost of the project at $3.5-4 million and is currently lobbying for the Wonder Forest via NGO ReAct and a Facebook page. Ultimately though, the success of the idea is in the hands of Beirut's residents -- who would need to tend the gardens, particularly over the hot summer months. "Even if all the trees and their installation is provided, if the residents don't subsequently get involved, then the plan will fail," said Melki. 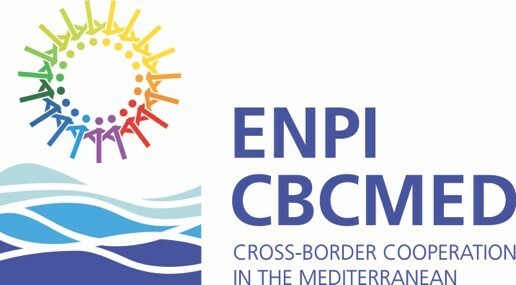 There could also be benefits for the green fingered, says Melki, who could turn a profit growing and selling olives and citrus fruits, which thrive in Beirut's Mediterranean climate. "Aside from the major environmental and social benefits, it would also be incredibly iconic," he says. "Just imagine: The world's first rooftop garden city." Model is unique and first of its kind in Lebanon, due to the cost of simple and mechanism of action at the level of municipal cooperation, and thanks to him becoming the town Remhala (Mount Lebanon) on top of underground water, fully protected from drilling health, and kept her family are proud of their achievement refinery unique natural. 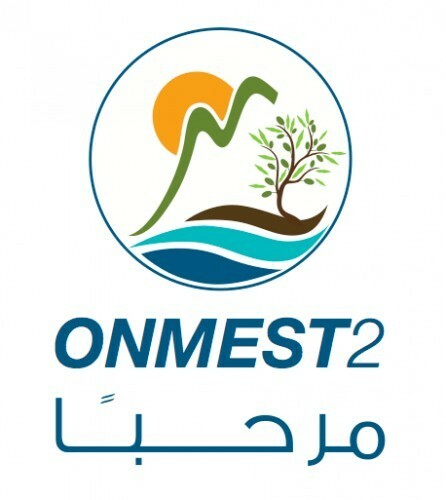 The birth of the idea was the result of many discussions, in order to ensure sustainability and maximum benefit from funding from the Italian Embassy in Lebanon, where he replaced the request to execute the project of digging an artesian well water and feed the network provided by the municipality Remhala, environmental project of the first degree. He says the idea Engineer Rashid Sarkis, in an interview with «Middle East»: «The project provides a natural drainage processes, and not a very simple way involving any element of automatic or technical, requires energy for operation or maintenance». In the details of the project that the municipality Remhala has purchased a plot of land, and paved the way for them, and the mass of the ocean, and accompanied the launch of Works Workshop arrived home to the main network, which formed the bulk of the project, while the refinery accounted for the remaining part of it. He continues, Sarkis: «we have adopted a pit Trkid large to secure the entry of water to the site in liquid completely, where the cross of wastewater through the field planted with canes, and graduated from the other side free of any smell or items contaminated, and pour in the pool assembly help the municipality to use the treated water by needed. The role of the cane comes after to cross the water between the pebbles white embraced, to extend beyond the first roots thick, forming an area of ? ?movement essential to the bacteria, which eat all the sediment and particles is incoherent due to the passage of water, after being oxidized by the own style canes, capable of pumping oxygen Thanks to the long roots. In this way, end the effects of harmful substances and the smell of them, and withdraw the water from the opposite side of the color of a net, a little inclined to a particular color or smell, without any adverse effects of the recall, according to Sarkis. Among the factors contributing to the success of the project Remhala is that it is aptly named, Vasmha means Syriac «hill of sand», which is located actually on a sand dune on the shoulder of a valley between the four mountains, also held the title of «Jouret gold», the large yields, which provides for their children self-sufficient four seasons are: olive, grain types, and the silk worm, and livestock. Since these seasons, the irrigation need to make use of treated water is completely without cost little, compared with the rest of the other methods to secure the same amount of water, after being subject to the arrangements simple enough to secure the completion of the elements of water suitable for irrigation. Shows the mayor Remhala Michel Saad: «cost of running no more than zero we started work on the project two years ago, as a result of cooperation with parents, we installed a secondary network in the line and find the main network as a first stage, then followed the implementation of house connections to convert all waste water to the station, and dispensing Drilling for health and pollution caused by a second stage ». Response of sons of the town's 300 people had been positive, especially as it is witnessing population density in the summer in the hope of people the air and tranquility, which characterized them, and reflected through the motivation to pay the subscription code in the project, in order to avoid the costs arising from the discharge hole of each house, helping them to dispense once and for all those holes, as the Saad. In equation calculations, the rate of the service requires an area of ? ?between 3 and 4 square meters per person, while the cost of the network with the station did not exceed the amount of 160,000 pounds for the Lebanese, H. The sanitary pits in the town has been turned into reservoirs to save rainwater, and use it in summer for the same purpose, an irrigation plantings. Taking describes Saad project as a friend of the environment par excellence, confirms his quest for the use of chlorine in treated water, to irrigate varieties of vegetables, including parsley, mint, radishes, onions, and expressed his happiness for the success of the project, especially that it reduces the environmental damage, do not bring bad odors or insects. In the simple approach provided by Sarkis, any extensions to drag the drainage network at a distance of more than one kilometer cost more than the purchase of land to form refinery natural, as can generalize this solution to many of the villages, middle-space, through the development of several plants, lead services throughdistribution elaborately according to the slopes, to cover all the spaces in the town, as reflected by the positive results. This is the form of an incentive for municipalities Kobayat and rice (North Lebanon) for details of the project, and preparation for adoption in their respective regions, beginning in 2012, he adds Saad. In conclusion confirms Sarkis that the adoption of the principle of the stairs environmental in most of the mountains of Lebanon makes the wastewater in towns that are located by the product twice, where it can power them, and take advantage of land at least a reduction of the resulting water for irrigation and agriculture, eliminates the need for a sewer main , and the need of large channels, as well as the phasing out of large refineries, which needs to run human cadres, technical, and material costs.